At The Fernon Group, every member of our team is dedicated to helping people achieve their financial goals. We believe every client is entitled to the highest level of personalized service and care. With the global resources of Merrill Lynch, we’ll place you at the center of the wealth management process as we work together to design goals-based financial strategies to help you reach the goals that matter most to you. With more than 30 years of industry experience, Michael works with affluent families, individual clients, and non-profit organizations. Through personal consultations, Michael works with each client to set quantifiable goals, and helps prioritize their needs. He then develops and implements a customized strategy using a wide variety of financial recommendations. Michael is a graduate of Pace University School of Law. Prior to joining Merrill Lynch, Michael was the Director of CCBT Financial Companies and the Director of American Express Trust Services. He was the Director of Prudential Securities Trust Division, Senior Vice President of Merrill Lynch Trust Company of New York, and a trusts and estates attorney in New York. *Michael does not provide legal or tax advice in his current role with Merrill Lynch. 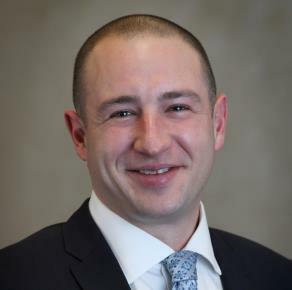 With over 15 years of experience in the financial services industry, Dimitar provides personalized guidance and monitoring of each client's progress towards reaching their financial goals. He focuses on the retirement and investment planning for our clients. Dimitar earned an MBA in Finance degree from Providence College. He holds a bachelor's degree in Economics from Southwestern University and the Chartered Retirement Planning Counselor℠ CRPC® designation, as well as the CERTIFIED FINANCIAL PLANNER™ CFP® certification. Dimitar joined Merrill Lynch in 2008. Prior to that, he served as a Vice President with Bank of America Premier Banking & Investments and held management positions with FleetBoston Financial. Allyson has over 15 years of experience in the financial services industry, beginning her career in 2003 with Eaton Vance before joining Merrill Lynch in 2011 as a Wealth Management Banker. After working with the Fernon Group for 3 years in her previous role, Allyson joined the team as a Registered Client Associate in January 2014. Dedicated to providing our clients with exceptional service, Allyson is responsible for all client account administration, maintenance and service related needs. She has a bachelor’s degree in Economics-Finance from Bentley University. Mike has 15 years of experience in the financial services industry, beginning his career with Fidelity Investments. He came on board with Banc of America Investment Services in 2008 and stayed on through the merger with Merrill Lynch. Prior to joining The Fernon Group in 2018, as a Registered Client Associate, Mike spent 10 years at Merrill Edge providing self-directed clients insight into the best products and services that fit their lifestyle and needs. His desire to work closely with clients in a more personalized fashion brought him to Merrill Lynch Wealth Management, most recently as a Wealth Management Banker, assisting clients to get the most out of a holistic approach to their financial relationship. He brings that dedication to our clients in delivering world class service and is responsible for all client account administration, maintenance, and service related needs. Mike attended University of Massachusetts-Dartmouth with a focus in Business Management. Karen celebrated a milestone 50 year career with Merrill Lynch in 2018. She started working in the Boston office assisting in the area of compliance and other support roles. In 1996, Karen relocated to Cape Cod, transferred to the Hyannis office and later became part of the Fernon Group. Karen tried to officially retire back in 2014, but quickly realized that she would miss the daily interactions with clients and colleagues. These days, Karen spends a few days a week in the office working primarily on scheduling client meetings and special projects for our team. She brings a wealth of experience and a tremendous amount of care assisting our clients. When not in the office, Karen enjoys spending time with friends in Barnstable Village and relaxing at Sandy Neck Beach.